We all experience stress in our lives. Because the vast majority of health problems are caused or influenced by stress, it's important to understand how stress affects your body and learn effective stress management techniques to make stress work for you rather than against you. Stress is your body’s response to changes in your life. Because life involves constant change (ranging from changing locations from home to work each morning to adapting to major life changes like marriage, divorce, or death of a loved one), there is no avoiding stress. This is why your goal shouldn't be to eliminate all stress but to eliminate unnecessary stress and effectively manage the rest. There are some common causes of stress that many people experience, but each person is different. Stress can come from many sources, which are known as "stressors." Because our experience of what is considered "stressful" is created by our unique perceptions of what we encounter in life (based on our own mix of personality traits, available resources, habitual thought patterns and more), a situation may be perceived as "stressful" by one person and merely "challenging" by someone else. Simply put, one person's stress trigger may not register as stressful to someone else. That said, certain situations tend to cause more stress in most people and can increase the risk of burnout. For example, when we find ourselves in situations where there are high demands on us; where we have little control and few choices; where we don't feel equipped; where we may be harshly judged by others; and where consequences for failure are steep or unpredictable, we tend to get stressed. Because of this, many people are stressed by their jobs, their relationships, their financial issues, health problems, and more mundane things like clutter or busy schedules. Learning skills to cope with these stressors can help reduce your experience of stress. Just as stress is perceived differently by each of us, stress affects us all in ways that are unique to us. One person may experience headaches, while another may find stomach upset is a common reaction, and a third may experience any of a number of other symptoms. 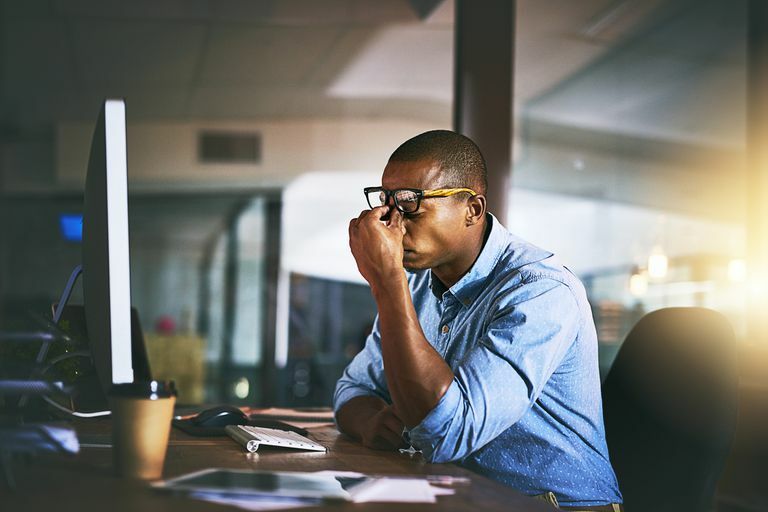 While we all react to stress in our own ways, there is a long list of commonly experienced effects of stress that range from mild to life-threatening. Stress can affect immunity, which can impact virtually all areas of health. Stress can affect mood in many ways as well. If you find yourself experiencing physical symptoms you think may be related to stress, it is important to work on managing that stress and talk to your doctor to be sure you are doing what you can to safeguard your health. Symptoms that may be exacerbated by stress are not "all in your head" and need to be taken seriously. Creating a stress management plan is often one part of a plan for overall wellness. Stress can be effectively managed in many different ways. The best stress management plans usually include a mix of stress relievers that address stress physically and psychologically and help to develop resilience and coping skills. Use quick stress relievers. Some stress relief techniques can work in just a few minutes to calm the body's stress response. These techniques offer a "quick fix" that helps you feel calmer at the moment, and this can help in several ways. When your stress response is not triggered, you may approach problems more thoughtfully and proactively. You may be less likely to lash out at others out of frustration, which can keep your relationships healthier. Nipping your stress response in the bud can also keep you from experiencing chronic stress. Quick stress relievers like breathing exercises, for example, may not build your resilience to future stress or minimize the stressors that you face, but they can help calm the body's physiology once the stress response is triggered. Develop stress-relieving habits. Some techniques are less convenient to use when you are in the middle of a stressful situation. But if you practice them regularly, they can help you manage stress in general by being less reactive to it and more able to reverse your stress response quickly and easily. Long-term healthy habits, like exercise or regular meditation, can help to promote resilience toward stressors if you make them a regular part of your life. Communication skills and other lifestyle skills can be helpful in managing stressors and changing how we feel from "overwhelmed" to "challenged" or even "stimulated." Eliminate stressors when you can. You may not be able to completely eliminate stress from your life or even the biggest stressors, but there are areas where you can minimize it and get it to a manageable level. Any stress that you can cut out can minimize your overall stress load. For example, ending even one toxic relationship can help you more effectively deal with other stress you experience because you may feel less overwhelmed. Discovering a wide variety of stress management techniques, and then choosing a mix that fits your needs, can be a key strategy for effective stress relief. Is Stress Inevitably Harmful to Health? Actually, no. There are several different types of stress that range from eustress, which is a positive and exciting form of stress, to chronic stress, which has been linked to many serious health issues and is the type of negative stress most often mentioned in the news. While we want to manage or eliminate the negative types of stress, we also want to keep positive forms of stress in our lives to help us remain vital and alive. However, if we experience too much stress in our lives, even "good" stress can contribute to excessive stress levels, which can lead to feeling overwhelmed or having your stress response triggered for too long. This is why it is still important to learn to relax your body and mind periodically and cut down on unnecessary stress whenever possible. How Can I Tell When I’m Too Stressed? Stress affects us all in different ways, not all of which are negative. (In fact, the stress of an exciting life can actually serve as a good motivator and keep things interesting.) When stress levels get too intense, however, there are some stress symptoms that many people experience. For example, headaches, irritability, and ‘fuzzy thinking’ can all be symptoms that you’re under too much stress. While not everybody who’s under stress will experience these specific symptoms, many will. If you find that you don't realize how stressed you are until you are overwhelmed, it's important to learn to notice your body's subtle cues and your own behavior, almost like an outside observer might. To notice how your body is reacting to stress, you can try this body scan meditation (it helps relax at the same time). What Can I Do When I Feel Overwhelmed by Stress? We all feel overwhelmed from time to time; that’s normal. While it’s virtually impossible to eliminate times when events conspire and the body’s stress response is triggered, there are ways that you can quickly reverse your body’s reaction to stress, buffering the damage to your health and keeping your thinking clear, so you can more effectively deal with what’s going on in the moment. Is There a Way to Be Less Affected by Stress? Actually, by practicing a regular stress management technique or two, you can eliminate some of the stress you feel right now and make yourself more resilient in the face of stress in the future. There are several different things you can try, ranging from a morning walk to an evening journaling practice to just making more time for friends. The trick is to find something that fits with your lifestyle and personality, so it’s easier to stick with.